Adrian Clark is the Student Health & Wellbeing Manager at the University of London and the Warden of Connaught Hall, a University of London intercollegiate hall of residence. He has been in a position providing pastoral support to students in the University since 2000. Adrian qualified as a doctor with MBBS from the University of London in 2002 and began training in emergency medicine in 2005, becoming a Member of the Royal College of Emergency Medicine in 2009. He exited the emergency medicine higher specialist training programme in 2012 since then has been a Senior Clinical Fellow in the Emergency Department at UCLH. Adrian is currently studying MMEd (Master of Medical Education) at the University of Dundee. The emergency department at University College Hospital provides clinical services to treat the full range of problems with which patients present as an emergency or urgently, from immediately life-threatening conditions to minor injury and illness, in all age groups from babies to the elderly. The department aims to diagnose, treat, and either admit or discharge 95% of patients within four hours of their arrival. Patients are treated in one of six areas of the department: the resuscitation room, majors, majors 2, urgent treatment centre, children's A&E, or the clinical decision unit. 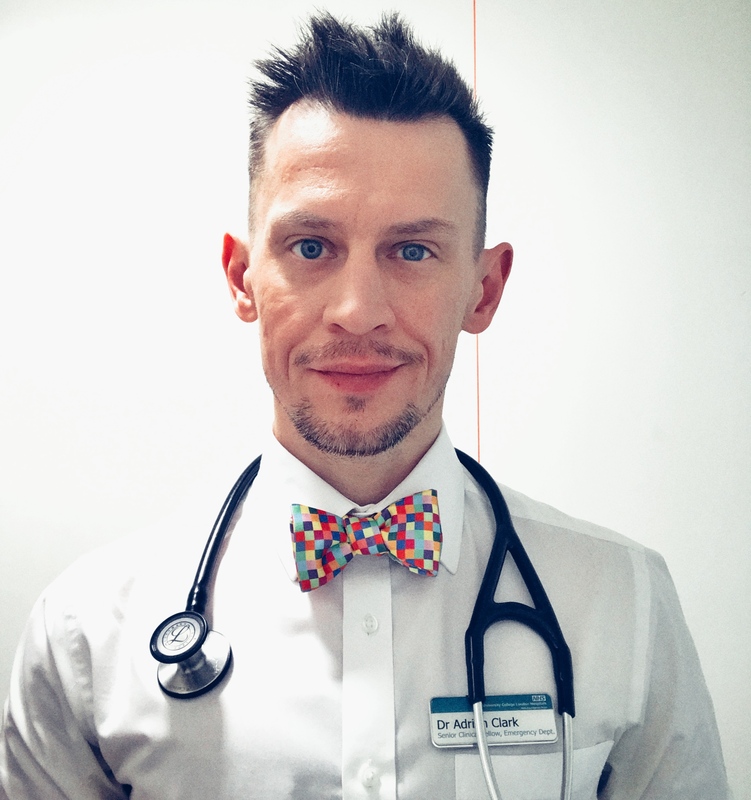 As a senior clinical fellow, Adrian Clark will be the lead doctor in one or sometimes two of these six areas on a day shift, responsible for supervising and guiding junior doctors in that area, as well as seeing patients directly. On a night shift, Adrian is the doctor in charge of all six areas of the emergency department. Adrian is the trauma lead registrar for UCH emergency department. He works with the Trust's Trauma Director to develop, audit, and improve the service provided to seriously injured patients, and is a member of the Trauma Working Group. The Warden is a resident member of staff at Connaught Hall - a hall of residence for 230 students of the University of London. As Warden, Adrian Clark is responsible for welfare & pastoral care, discipline & conflict resolution (including noise complaints), re-admissions, out-of-hours emergency cover, and community & social life including the Residents’ Club Committee and Hall bar. The Warden is Clerk to the Club & Senior Treasurer of the Residents' Club, Convenor of the Facilities Committee, and a member of the Multicultural Students' Forum. He is a first-aider for the Hall and, as Fire Warden, works closely with the Hall Manager in all aspects of fire safety. As the Warden of Connaught Hall, Adrian Clark is available in Hall on a part-time basis, usually in the evenings and at weekends.